Advanced Technologies Disrupting Banking Sector? Technologies have changed almost every part of our lives. With the rapidly developing technology and a wave of innovation in the financial sector, the traditional banking landscape is rapidly reshaping and will keep doing so in years to come. Here is a look at some of the technologies that are changing the way banks are handling our money. Blockchain technology is set to fundamentally transform the banking services. While bankers have historically been skeptical of how secure blockchain technology will suit their tightly regulated industry, the attitude is now changing. Larger banks are now increasing their efforts to conduct tests of decentralized asset technology and how they can implement blockchain in their business processes. Blockchain provides a very high level of safety and security when it comes to exchanging data, information, and money. It also allows users to take advantage of the transparent network infrastructure along with low operational costs which comes about from decentralization. According to a CEBNet report, out of 26 Chinese banks, 12 have adopted blockchain applications for various use cases over the past year. The institutions include major state-owned commercial banks such as the Bank of China, China Construction Bank and the Agriculture Bank of China, as well as other privately held ones. In May 2018, HSBC performedthe world's first commercially viable trade finance transaction using blockchain technology. The blockchain transaction involved a bulk shipment of soybeans from Argentina, through Geneva’s trading arm of Cargill, to Malaysia. Ripple is probably the biggest contender set to disrupt banking. Many global banks are already using the Ripple ledger tech to facilitate cross-border money transfer operations. A recent study conducted by market intelligence firm Juniper Research indicates that by deploying blockchain technology financial institutions stand to generate savings amounting to over $27 billion on cross-border settlement transactions before the end of 2030. On the basis of on-chain transactions, the costs will be reduced by over 11%. Alfa-Bank of Russia, BNP Paribas (France), Deutsche Bank (Germany), UBS (Switzerland), Societe Generale (France), as well as Peru and Columbia Central Banks were among 40 participants of the R3 blockchain consortium that tested new blockchain-based KYC (Know Your Customer) utility. Major Wall Street banks including J.P. Morgan Chase and Citigroup completed a successful trial of blockchain technology for keeping track of credit-default swaps in April 2016. JP Morgan CIO Lori Beer believes blockchain will replace existing technology in a few years time. Beer said at a press conference in Buenos Aires that JP Morgan uses blockchain technology to “simplify the payment process and to store customers’ information related to KYC (Know Your Customer) policy.” She added that blockchain technology helps to prevent money laundering. From contactless, to finger scanning and iris recognition, biometrics technology is quickly changing the banking industry as people are given new ways to make and receive payments. Banks around the world are increasingly opting for biometrics to authenticate customers accessing their services. The technology is quickly replacing the need to remember passwords and pin codes. Bank of America rolled out fingerprint authentication and Touch ID in 2015, and the American Banker reports that more than half of the bank’s customers had used the biometric for mobile access by mid-2017. In 2017 HSBC enabled voice-based authentication for customers in the US. Called Voice ID, the system uses voice biometrics for authentication, with a given customer needing only to repeat a passphrase to confirm their identity. Last year Lloyds Banking Group teamed up with Microsoft to pilot the use of fingerprint and facial recognition technology for online banking logins on Windows 10 devices through “Hello” service. The British Santander UK bank has gone a step further, allowing customers to make payments using their voice over the phone. Australia and New Zealand Banking Group, popularly known as ANZ Bank has launched a voice verification system for mobile transactions exceeding $1,000. While Citigroup Inc. - the 4th largest bank in the United States - also introduced a launched voice authentication in May 2016 across Asia Pacific region, allowing customers from Australia, Hong Kong, India, Malaysia, Philippines, Singapore, Taiwan, Thailand and Vietnam to access financial services provided by the bank through biometric authentication. A number of banks and financial institutions are showing signs of interest and adoption of Artificial Intelligence. Chatbots are probably the most visible form of AI being adopted across the sector. These automated service assistants can recognize tens of thousands of variations on common questions a customer is likely to ask and are thus providing clients with the convenience of resolving their queries via an online messaging system instead of having to visit a branch. In January the Commonwealth Bank of Australia (CBA) launched its chatbot Ceba to assist customers with more than 200 banking tasks such as activating their card, checking account balance, making payments, or getting cardless cash. Available 24/7, Ceba can recognize approximately 60,000 different ways customers ask for the tasks. And then there’s Nina, Swedbank’s AI chatbot, which has been in operation for around two years. The bank says of the 40,000 conversations a month that Nina handles, it’s able to resolve 81% of the issues. Also, Bank of America has created Erica to help customers with simple transactions such as paying down debt, checking account status and more. Capital One Financial has developed a "chatbot" named Eno, an automated program that can communicate with the bank's customers via text messages. Finn AI is a Canadian company that provides financial institutions with chatbots. They are currently working with tier 1 and tier 2 banks across four continents, to automate hyper-frequent front office tasks and cut the time support staff spend on such activities by a half. The smartphone and digital technology is the foundation of today’s increasingly demanding connected consumer. This is why banks are investing heavily in digital banking technology, in which customers use mobile, web or digital platforms to access the banking services 24/7. Other prominent advantages include speed and efficiency. It exempts customers of the need to wait in line to transfer money, apply for a new loan, or perform nearly any banking transaction. 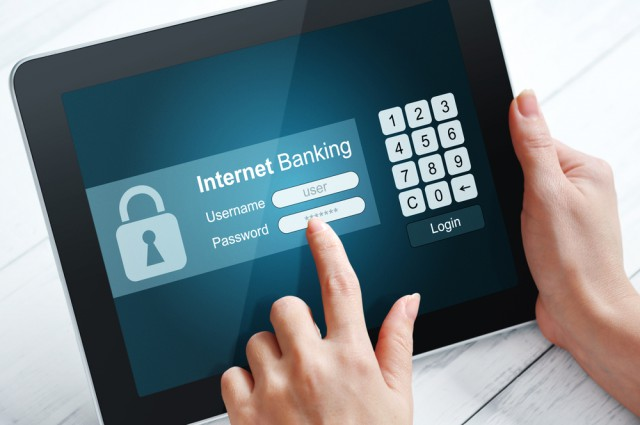 Online bill payment is another great advantages of online banking. Rather than having to write checks or fill out forms to pay the bills, once the accounts are set up at the online bank, all it takes is a simple click or a tap. While the advanced technologies are unlikely to fully force traditional banks out of business, they will force the industry to think of new ways to deal with modern challenges. 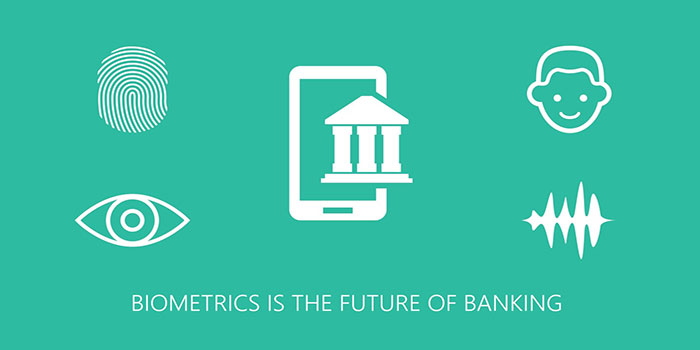 Banks now need to re-invent themselves with a new vision of how they can best serve the financial needs of customers.